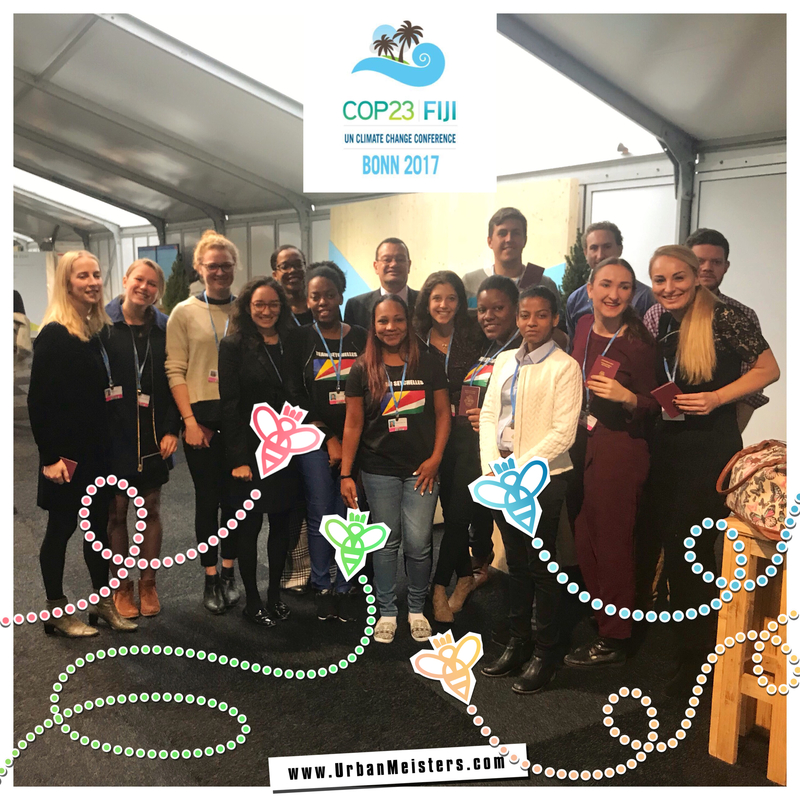 Hi UrbanMeisters, this is Mirela reporting to you from COP 23 in Bonn! My latest coverage is on Seychelles. Smart digital technology is changing our lifestyles at an unprecedented pace, AI is changing every industry from medical to finance, and the world has literally shrunk to our mobile devices (look at me writing this feature sitting in Bonn!). It’s 2017 and we have reached an era where we are fast changing the face of this earth. Yet while we are so well aware of the latest tragedy halfway across the globe and can contribute to it via the digital world, the attitude to biggest environmental concern ‘climate change’ remains largely unchanged. Everytime we think “climate change” we think it’s someone else (brands, factories, industries etc) that is contributing to it. But ironically, these industries and brands are producing for our consumption! Take for e.g. the electronic waste is rising at a very high pace and becoming a global challenge. And yet we’d rush to lay our hands on the latest iPhone 8 or 10 without a thought about its impact. 1992 first saw the international political response to climate change in the Rio Earth Summit, where the the UN Framework on Climate Change (UNFCCC) was adopted. Over the years it is evident that there is no elixir—no single solution to get us to a sustainable climate. It will however require a combination of political, technological, economic, and behavioural actions and interventions to provide the necessary progress towards the desired goal. Most importantly climate change requires behavioural change and change in the urban outlook. Precisely why I started UrbanMiesters because I always believe that the grass is greener right here, right now! 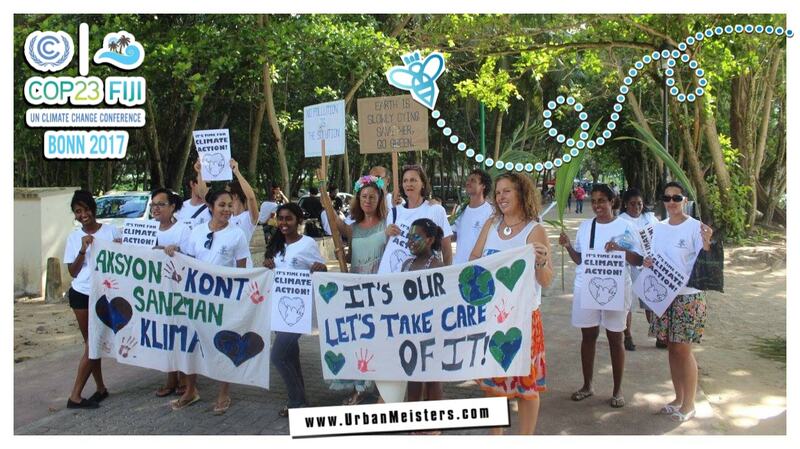 UrbanMeisters was created from my need as a regular global citizen hassled with pollution and not knowing where to turn. And clearly a lot of you share my interests as the community has grown. Saving oneself from pollution and living green are two sides of the same coin. So I want to share an example of yet another exciting green startup I met at COP 23 who show us how it’s possible to fight back climate change through our own actions! My coming together with Team Seychelles! When I covered the 21st edition of the conference of parties we were new kids on the block! But this year as I attended COP23 in Bonn, as a delegate representing our platform, I sensed a deeper realization of the climate goals. I was given the honour to be part of the Seychelles Support Team as Sustainable lifestyle expert & influencer under the lead of honourable & inspiring United Nations ambassador Ronald Jumeau. The ambassador has united a unique & talented team of Seychelles & International youth at the COP 23, in the fight against climate change to trigger the exchange of creative climate action ideas and also send the urgent message around the globe that Seychelles faces an existential threat should climate change remain uncurbed! The impact of climate change is so profound. A single event in one corner of the world can lead to a chain reaction that affects another corner (yeah guess what, it’s a small world afterall!). But because it needs us & people who can affect impact at larger scales to act, COP23 materialised. While I explained this in my update on the fashion side-event that I attended at COP23, here’s a recap! COP23 is an acronym for the 23rd Conference of the Parties to the United Nations Framework Convention on Climate Change (UNFCCC). The UNFCCC consists of three conferences under one umbrella, each with different signatories. It began in 1992 at the Rio Earth Summit where internationally the problem of Climate change was addressed. Berlin hosted the first conference of parties in 1995 and in 1997 the Kyoto Protocol was established. This was followed by the Paris Agreement at COP21 held in Paris November-December 2015. The Paris Agreement is significant because it is a legally binding agreement. While 170 parties have ratified to the agreement some like President Trump have pulled a Trump! 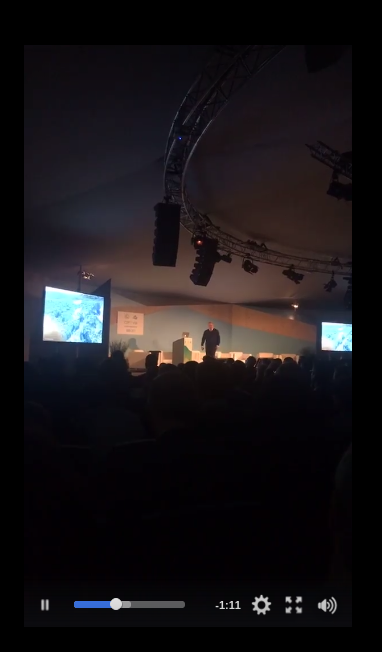 Former Vice President, AL Gore even stated that members of the white house will do their best to remain an active part of the climate change narrative in a session at #COP23 titled “Maintaining U.S. Engagement in International Climate Finance” hosted by Center for American Progress, World Resources Institute, CDP & Mississippi River Cities and Towns Initiative. Watch his live talk I attended! COP 23 brings together representatives of all those countries that have signed and ratified the UNFCCC and since 2016 also includes the signatories of the Paris Agreement. Under this international convention, Government delegates and climate activists from all over the world have converged at COP23 to negotiate details regarding the implementation of the Paris Agreement of 2015. Bonn is brimming with #ClimateAction with all these members challenging the Climate Change Conference critically and presenting their demands – through events, political discussions, exhibitions, performances and cultural entertainment of their own. Nothing works, if we don’t! But while these high level politicians are doing their bit, climate action can only work when consumers are aware and change behavior as well. Just like UrbanMeisters – where we all global urbans ‘hotspot’ to exchange ideas, tips, products on city-relevant green solutions – while working for the Seychelles delegation, I met a very inspiring person with a very exciting body of work! UrbanMeisters say hello to Dr Michele Martin who is one of the founders of Sustainability for Seychelles (S4S) – an eco-intiative that contributes to concrete solutions and behavioral change. Dr. Michele Martin has a background in environmental studies and education for sustainability and has worked for both Seychelles’ government and civil society organisations to promote sustainable living since 1993. 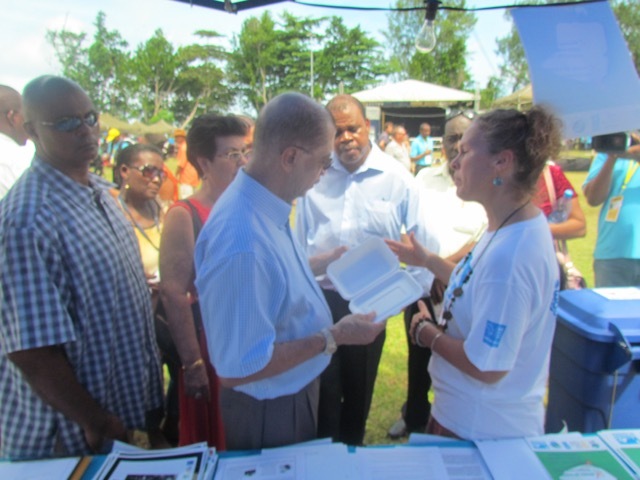 What was the motivation behind starting the NGO Sustainability4Seychelles? Michele: A group of us decided to start up the NGO in 2007 when we saw that the local environmental movement was very focused on biodiversity conservation but was not really addressing issues of sustainable lifestyles. We wanted to do work to promote sustainable energy, water, waste and to work on climate change issues, especially through education and training programs for the public and professional groups. We were keen to work in partnership with the government to help them find more sustainable ways for us to do things in Seychelles. What is the mission of Sustainability4Seychelles and what were the key milestones? 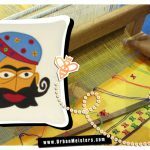 Michele: Our mission is to promote sustainable living, at home, work, school and play. Some of our key milestones included helping to set up a glass crushing re-use program targeting hotels & restaurants, promoting household rainwater harvesting, and helping to get polystyrene takeaway boxes and plastic bags banned in Seychelles. Yours is also a community driven platform like UrbanMeisters, so what role does a community play in bringing about any change? Michele: Anyone who is interested in sustainability can be a member of S4S. The programs we are developing and implementing are based on the interests and passions of our members. We also work closely with several community-based organisations. Their members help us to stay in touch with issues on the ground facing communities, and also influence the direction of our work. When we say we are a civil society group, we have to make sure that what we are doing represents the interests of the community/civil society. Making change has to involve all partners, we all have a role to play – civil society/community, the government, and the private sector. The great thing about civil society groups is that we can be catalysts for change, by raising awareness of issues and also testing out new ideas and new technologies. Sustainability in tourist hotspots like Seychelles is also widely dependent on the tourist population that floats in & out. How do you engage with them? Michele: And how do you propose to influence their ecological footprint? S4S works closely with a number of hotels to help promote sustainable practices, and we also do this through our work with the media – promote best practices. We try to help hotels, especially the bigger ones, to collaborate with local community groups on environmental projects. We also collaborate with government to promote the Seychelles Sustainable Tourism Label – a certification program which provides a great introduction to sustainable tourism and some useful tools for hotels and guesthouses. Now there is a new platform – the Seychelles Sustainable tourism Foundation and we are partnering with them to encourage more hotels to get on board. 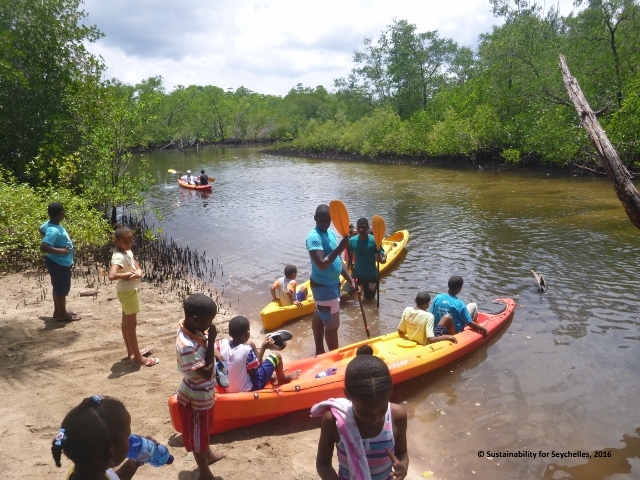 We have done workshops on climate change for the Tourism Academy and have also produced a teachers guide on how tourism can play a role in addressing climate change. How many people are part of the NGO and how do you manage funding? Can our community help you in any way? Michele: We have about 100 members in all; membership is free to anyone who is passionate about sustainable living and wants to be part of our movement. Many of our members volunteer their time to help on projects, and we have a small team of staff overseen by a volunteer board of directors. Funding is always tricky! We rely on grant funding, which is not always available, and also some donations from the private sector. The UrbanMeistercommunity could help us fundraise to get some of our projects off the ground. We also welcome student interns and international volunteers, but note that they must have their own funding to cover travel costs and living expenses. What are your expectations from COP23? Michele: We hope that COP23 will shed a bit more of the light on the situation of SIDS in the face of climate change, and more commitment to the goal of 1.5C. We have a lot of work to do in Seychelles to reduce our carbon footprint, but also prepare for the impacts of climate change that we are already seeing. We hope that the Seychelles team will be able to foster new partnerships and funding opportunities to help the country take action to deal with climate change. What is your recommendation for fellow social entrepreneurs? Michele: I have learned so much along the way, having been involved with S4S from the beginning! It sounds cliched, but if you are enthusiastic, hard working, knowledgeable and passionate, others will join you. As a group, you have the advantage of diverse ideas, skills, backgrounds but you need to involve everyone so that your social enterprise is a collaborative effort, not a one person show. It is critical also to balance ideas and talk with ACTION – people will start to respect and trust your organisation when they can see that you are making a difference. Being credible and also being accountable for the money you are entrusted with are very important too. It’s important to have people in your organisation that are good at raising money, and also very good at keeping track of how it is spent. The great thing about social entrepreneurship is that you can get things done with a small amount of money and limited bureaucracy, but you need to be accountable. Finally I will also add that working in partnership with other groups (government, civil society, businesses, whatever) is really important – you can spread your mission and have a broader impact, even though the collaborative process takes time and effort. Any eco-travel tips you may have for our community? Michele: A bunch of them for sure! Here’s my ever-ready checklist…. 1. Do some volunteer work while you are traveling – with a local grassroots NGO or community group – it will give you a chance to meet people and make friends, and probably enjoy some experiences you wouldn’t otherwise have. 2. Remember that on small islands our capacity to deal with waste sustainably is REALLY LIMITED. Please do whatever you can to reduce the amount of waste that you generate, including recyclables. 3. Saving energy and water while you are holiday helps conserve limited and costly resources for the islands – please do your part, just like the locals! 4. Try the local food! There are many restaurants and takeaways that serve creole dishes that are made from local and fresh ingredients – try these first before going for pizzas or burgers! It is rightly said big things have small beginnings. Help S4S in their endeavour to fight climate change. Visit there website-http://www.s4seychelles.com/ to know about their fundraising events and the their latest projects. Stay tuned to your top space UrbanMeisters for more exclusive news and interesting developments from COP23. If our take has gotten you all ready to act green, here’s how you can – by simply being the change. Being a global citizen just like you who is perpetually time-starved, hating Mondays, always running on coffee, I developed a green living series especially for us urbans. This series outlines simple zero-time-taking green ideas, tips and more that you can switch to, to have the grass greener on your own side ;) Read and let’s green!